My two Lego Hero Factory Hero Recon Team sets (boy that's a mouthful) arrived today at last. I'm very impressed with the packaging and presentation, and especially with the custom instruction manual. This is just great stuff. For folks who didn't make an early order and were sad to hear that there would be a "special" piece included with early sets after Recon Team was delayed, you can relax. The "special" piece is just a flame accessory from the 2.0-series villains. If you have trouble viewing it here, click over to the YouTube posting of the Hero Factory Recon Team review. 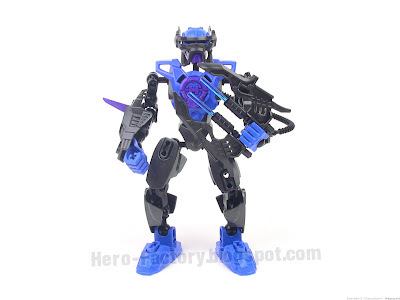 Today's low-life garbage user of the official Lego Hero Factory gallery is the hastily aliased asdfhd, who presents as his own one of my photos of my Alba 2.0 MOC. Congratulations asdfhd for joining the prestigious ranks of copyright infringing scum choosing to attempt in vain to take credit for others' work rather than being a useful functioning member of existance and coming up with your own creations! Cheers! PS: Does anyone know how to report these little thieves to Lego? 23 comments - Post a response! 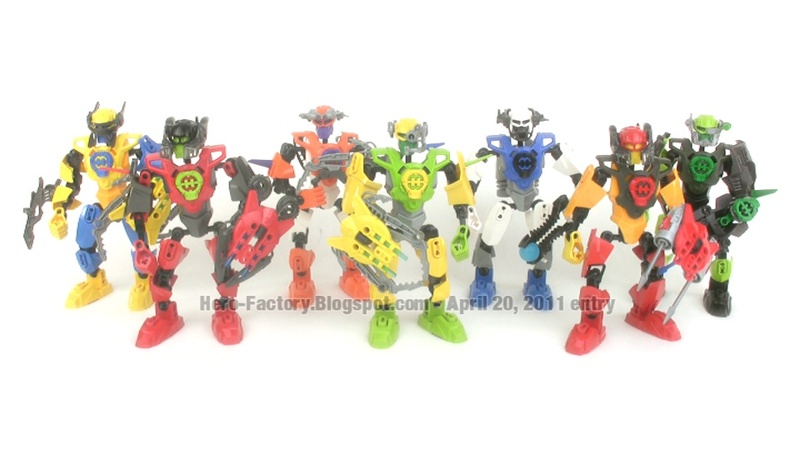 Each season with the Lego Hero Factory, we praise the six most celebrated heroes. It is praise certainly well-deserved, but don't forget the others. These uncelebrated heroes risk their lives every minute of every day to keep us safe. They number in the thousands. Here are but a few of them. Honor them. Remember them. We are very sorry to inform you that we have had some technical problems in the fulfillment of customized LEGO orders. Unfortunately this means that the delivery of your ordered Hero Recon Team member has been delayed. The problems have now been solved and we’re working full speed at the Hero Recon production facility to produce and ship your Hero. While the production has been on hold, we have collected and added a cool extra element to your unique Hero Recon member as a small compensation for the delay. This is 14 calendar days after I placed the first of my two Recon Team orders. Unfortunate to hear of their troubles, but I'm looking forward to receiving my little packets of parts, as I'm sure are many of you! Have any readers received their Recon Team sets yet? Have any thoughts on this delay? Post a comment & share your thoughts. 17 comments - Post a response! 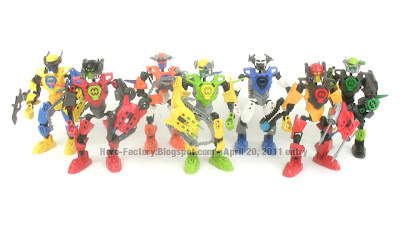 Lego Hero Factory Recon Team is live! That's right, the Lego Hero Factory Recon Team site is up & running and Hero Factory enthusiasts around the world are filling up the gallery with new virtual creations. Above is Noah Iron Shadow, my first attempt, for what it's worth. I won't bore you with a long "review" of this Design By Me-powered setup. Just go play with it yourself! The basic principle is that you design your own Hero from existing parts, give him a name (yes "him," there are no female names, argh! 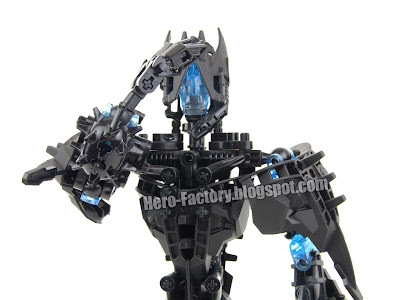 ), and then can actually order that hero to be delivered directly to you by mail (well, the pieces to make it at least). The cost is $12.99 USD in America, plus $4.95 shipping. Pretty steep price for a single normal-sized figure. For folks who were hoping to find tons of new colors for much-loved parts, sorry, no dice. There is only one new Recon Team-exclusive piece, the two-tone chest plate seen above. All other pieces are existing items in already-available colors. What's funny is that for extra variety, they let you add some System parts, including a couple different sizes of small claws, and tiny undersized tools. Anyhow, it's fun to mess around with. I'm actually going to order one particularly peculiar-looking hero, just to complete the process and see how it goes. 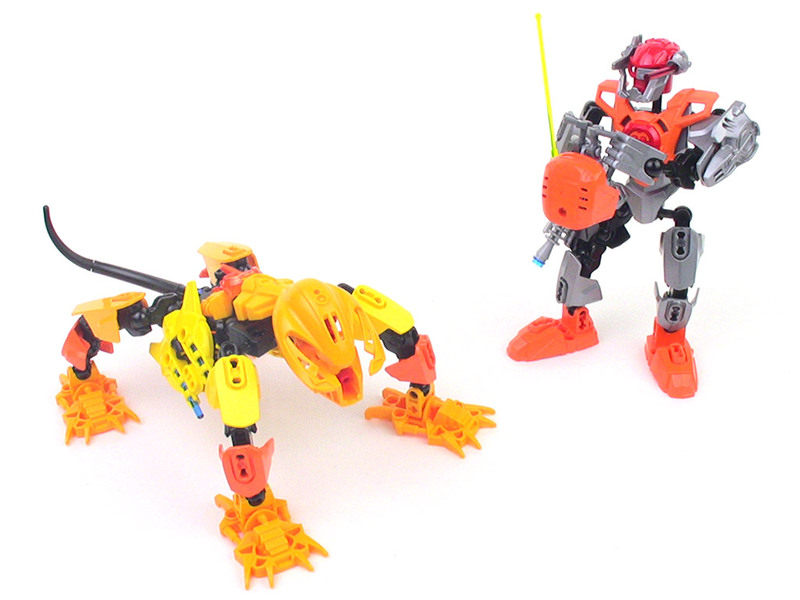 I spec'd my guy up with parts that I want more of for MOC making, especially the translucent red/orange armor pieces! I'll post up when it arrives. Today I received yet another note from a YouTube member pointing out despicable low-life scum who steal my photos and upload them to the official LEGO Hero Factory gallery as their own. 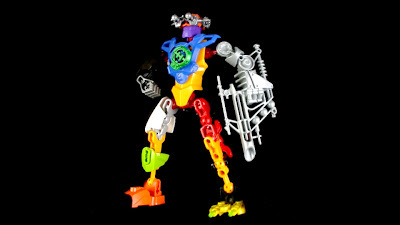 The latest immoral filth goes by the username robo-G on Lego's site, allegedly a 16-year-old Singapore resident. robo-G downloaded a picture of my MOCs Kalek 2.0 & QUADRO from right here on my blog, uploaded it to the official Hero Factory gallery, and guess what? My photo, that robo-G stole, is currently the highest-voted image in the gallery! He didn't stop at one theft, though, no. 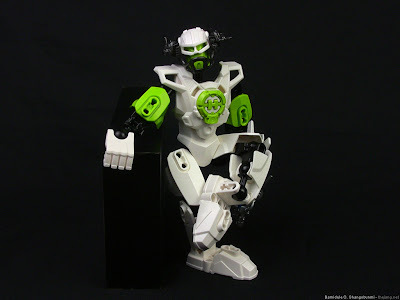 He also stole a photo of my very popular Specter 2.0 MOC, and uploaded it as "my spactor," in his words. That photo of mine, which thankfully included a watermark with the web address to this blog (something I evidently need to do constantly thanks to filth like robo-G), is currently the 10th highest voted photo. It gets better! Scrolling further through the most voted creations, we find what? That exact same Specter 2.0 photo of mine, uploaded by yet another epic parenting failure, magge7 of Sweden. bobbyjoe116 of the United States takes credit for one of my photos of Alba 2.0. The moral of the story? Steal & plagiarize, and not only are you shaming yourself and your family, but you're setting yourself up for a nice very permanent, and very public humiliation. 48 comments - Post a response!